Nightikle. Opaque black packed with small holo glitter. Ultra sparkly (and holographic) in real life but unfortunately that doesn't really translate in picture. Two coats plus topcoat here. Bluphic. 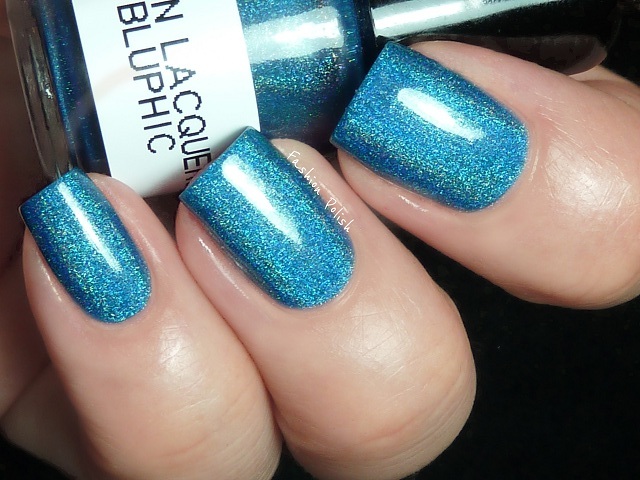 Medium blue linear holo. Amazing color and fantastic formula. I wish I had been able to swatch it in the sun but unfortunately it's been nothing but cloudy lately so I couldn't post it in all its glory. Two coats, no topcoat. Grape Coins. Fine blue based purple shimmer, white round and hex gold holographic glitter as well as flat, irregularly shaped, gold flakes in a sheer purple base. 2 coats plus topcoat here. Carniherbi. 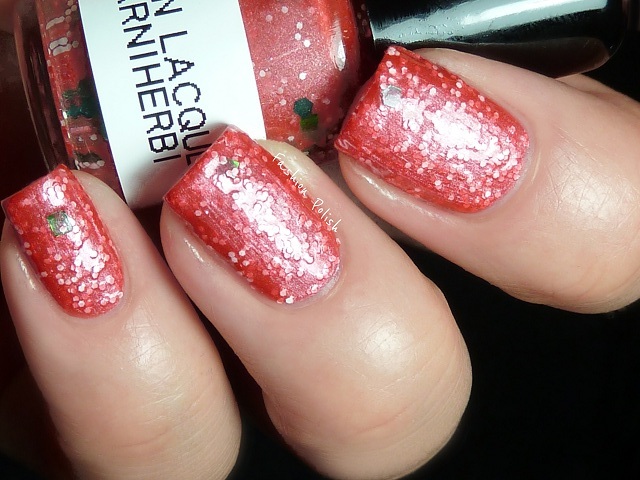 Small round white glitter mixed with hex and square green glitters in an orange shimmer base. This was a bit too brushstrokey for my taste. Also 2 coats plus topcoat. Redabby. 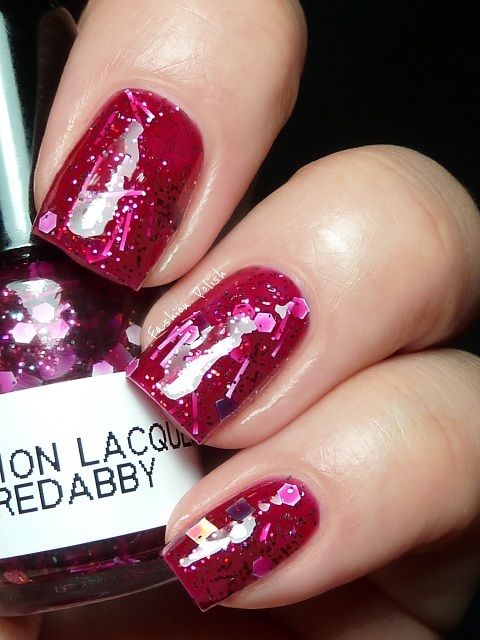 Complex blend of round, squares hex and bar glitter in a magenta jelly. I absolutely love this one! I decided to go with 2 coats but you might need a third one for full opacity. 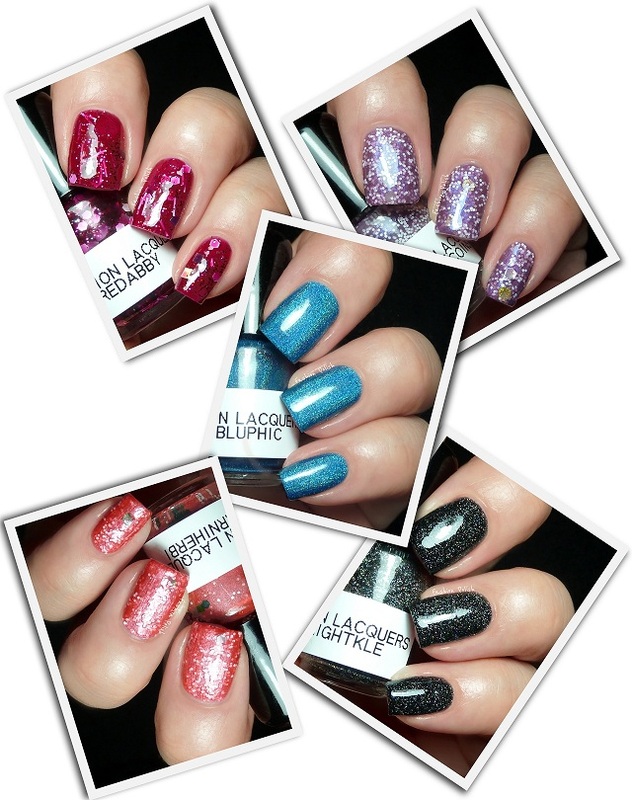 Million Lacquers retail for $4.10, 5ml. on Gwen's Etsy Store, worldwide shipping available. Gwen is also a nail polish blogger, you can visit her here. They are pretty, but nothing I'd write home about, soo... pass. These are amazing! That blue is simply stunning! Wow! I love indie polishes with pigmented bases SO much. Those are some gorgeous polishes! 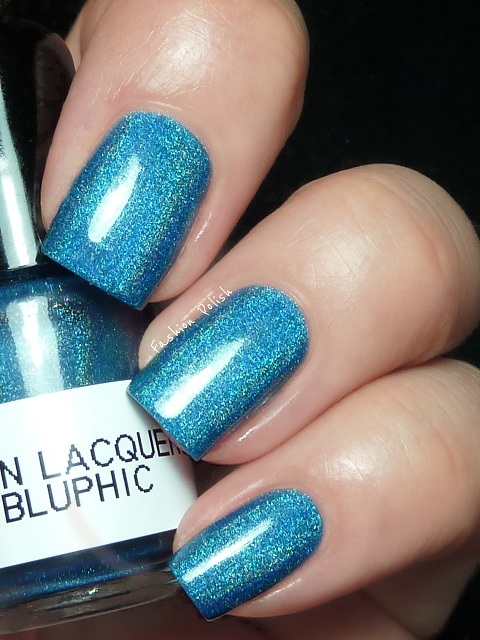 Oh I love Bluphic and Nightkle, but they are lovely all of them! THey are all gorgoeus. Love Bluephic. They are lovely, I really like Grape Coins and Nightkle! Well, so much for my buying ban on polish this month. Bluphic and Grape Coin must be mine. I wish it didn't have the big gold ones in it, but the rest of it is so cool I have to own it anyway!